p2pb2b already gave a bit information about Bitex cryptocurrency bank. We are glad to say that after all arrangements XBX token was finally listed on our trading platform. Bitex – a crypto-banking service that provides users with access to own exchange and payment system using XBX token. 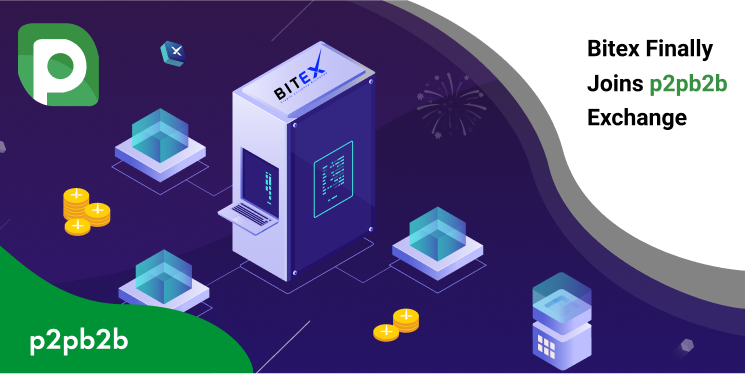 Thanks to ERC-20 compatible digital wallet, a virtual debit card for payments, and discount for token holders, Bitex coin is a convenient digital asset with various options to use. XBX can become a new credit standard in the blockchain economic system. Get XBX and other coins on p2pb2b platform and start trading!